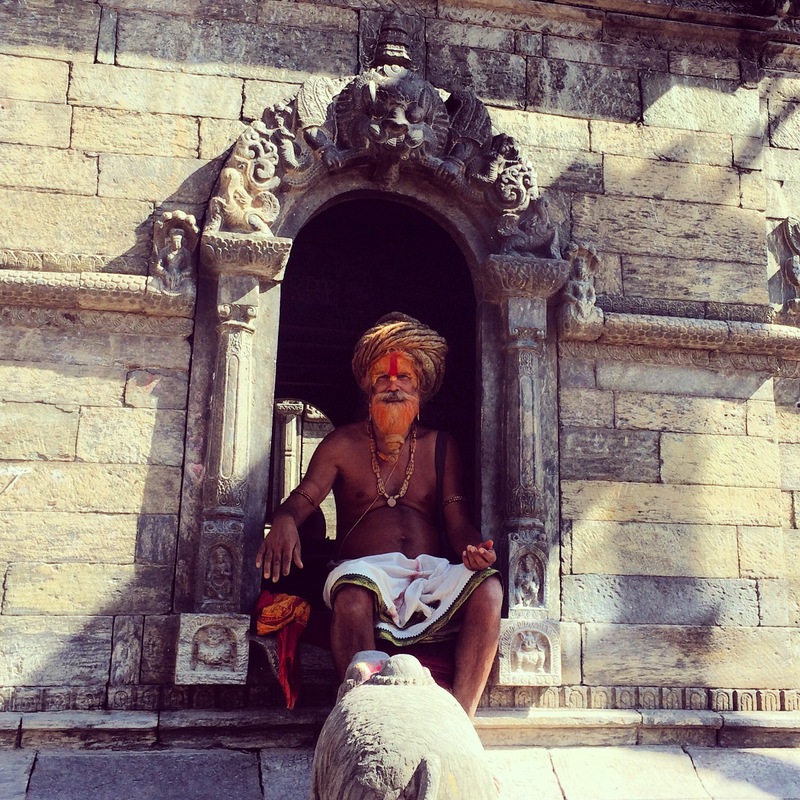 The days in Nepal start with namaste and end with namaste. How can someone not be comfortable surrounded by people who see the divine in each other! I thought the Nepalis were very kind people whose faces lit up when they saw us and tried to have a chit chat in any chance they got. And they all spoke English! 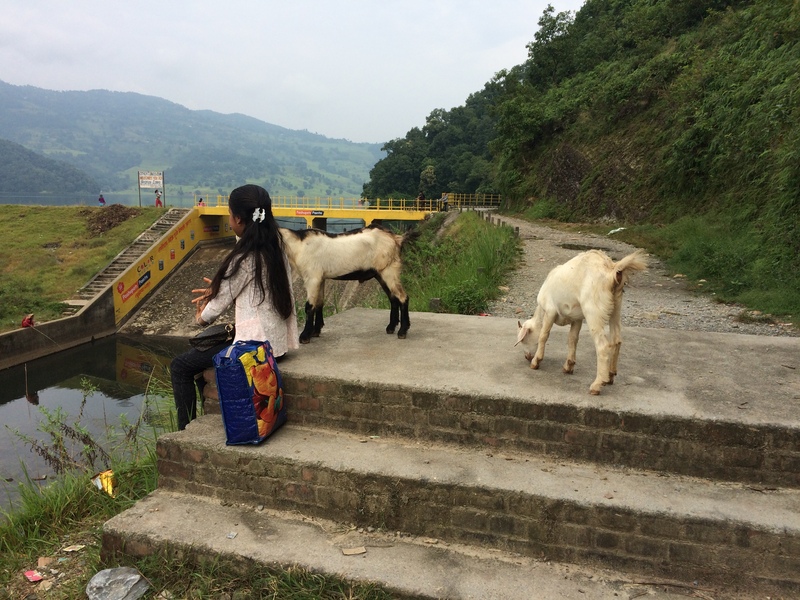 I was surprised to be able communicate with young to old, educated to not educated Nepalis very easily. Besides the touristic shops in the busy areas, I was pretty shocked when the guy who collected money on the bus, the little girl who worked at the tiny little local restaurant, the old lady in the bodega and the policemen spoke back to us in good English! 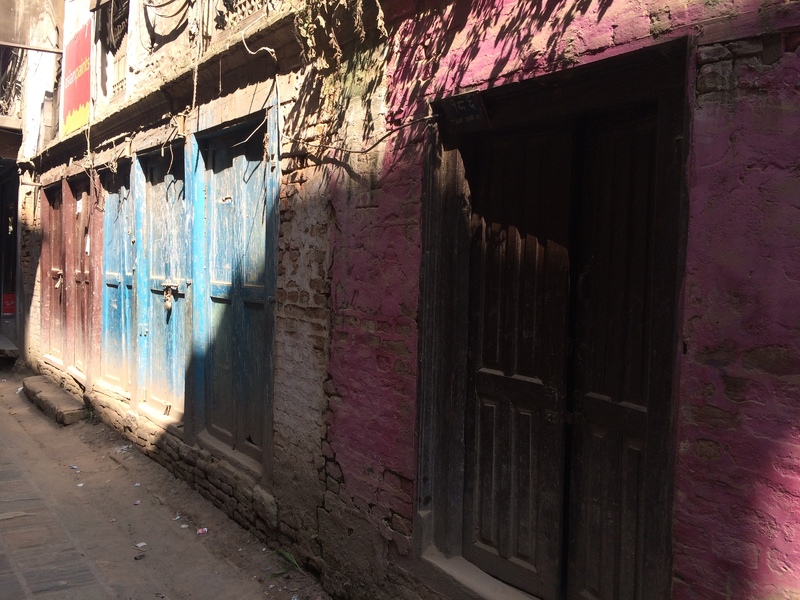 During our visit, Nepal was suffering from lack of gasoline that affected the daily life tremendously. People suffered from the political problems arose at the border with India. As if the earthquake didn’t hit them hard enough in April, now they were suffering more from lack of tourism since most of the tours were sadly cancelled. We noticed that gasoline wasn’t the only shortage in the country. They were also short of electricity and gas for cooking. Every night we faced power cuts after 6 pm. Restaurants’ menus almost cut in half at dinner time. 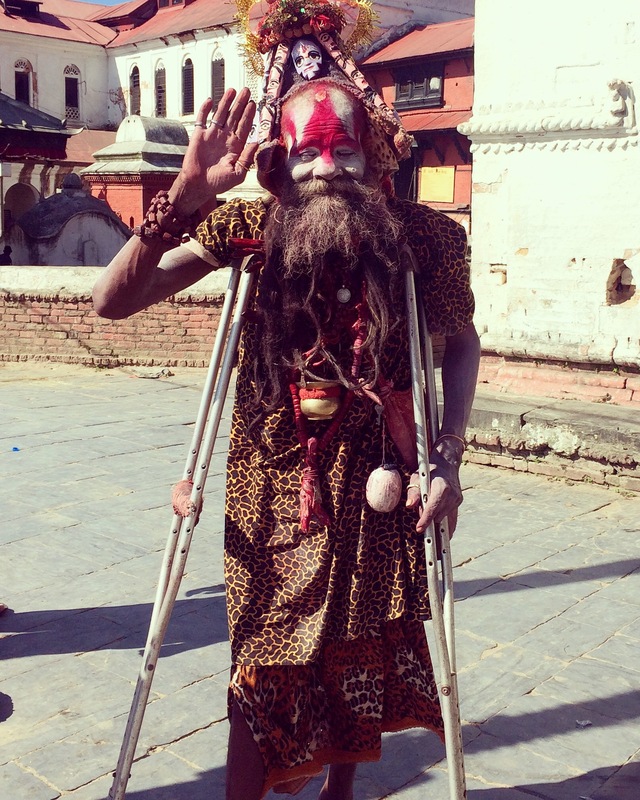 Despite this, the Nepalis were all smiling and extremely friendly, which totally amazed me. In the west, everyone would have a million things to complain about if we had a fraction of this problem! 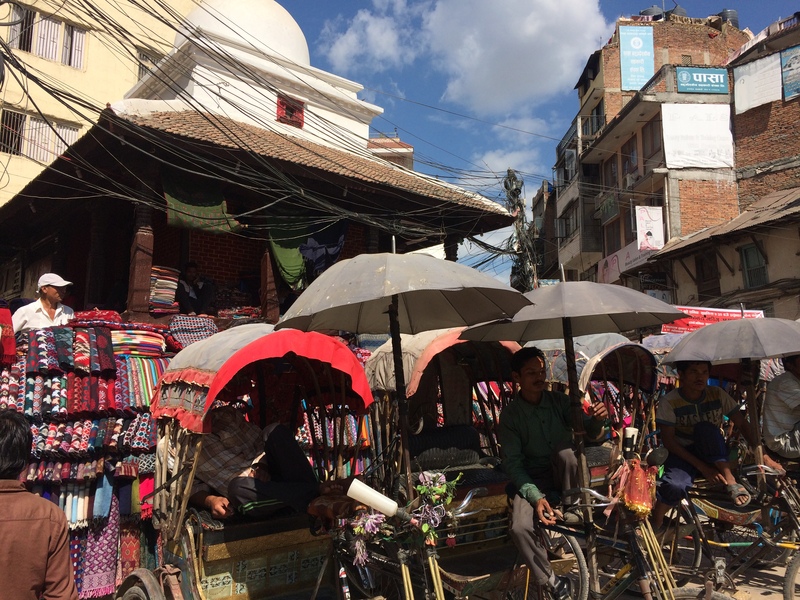 We stayed in Thamel, Kathmandu’s popular touristic area, for 1000 NPR ($10) per night. 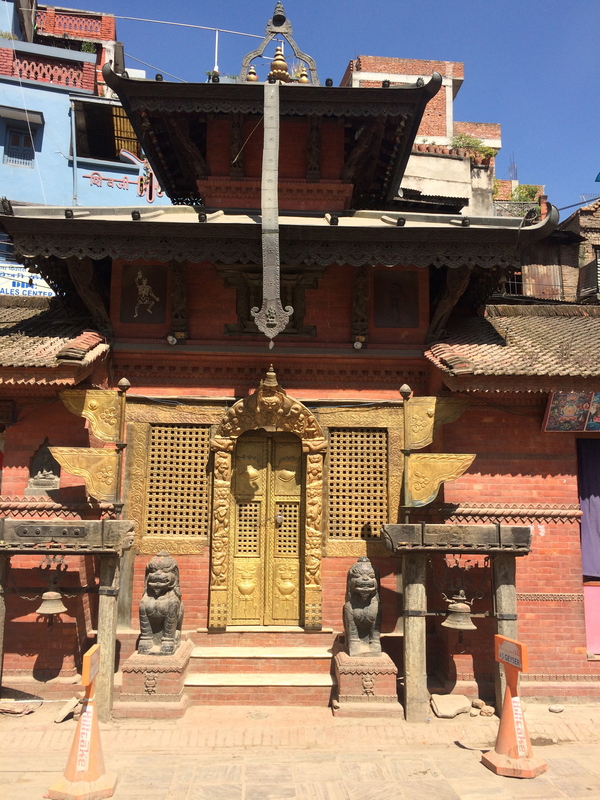 After giving our passports to an intermediary agency (called Suissa) to get our Indian visas, we decided to stay in Kathmandu only a couple of days and visit other towns around during the 7 day waiting period. 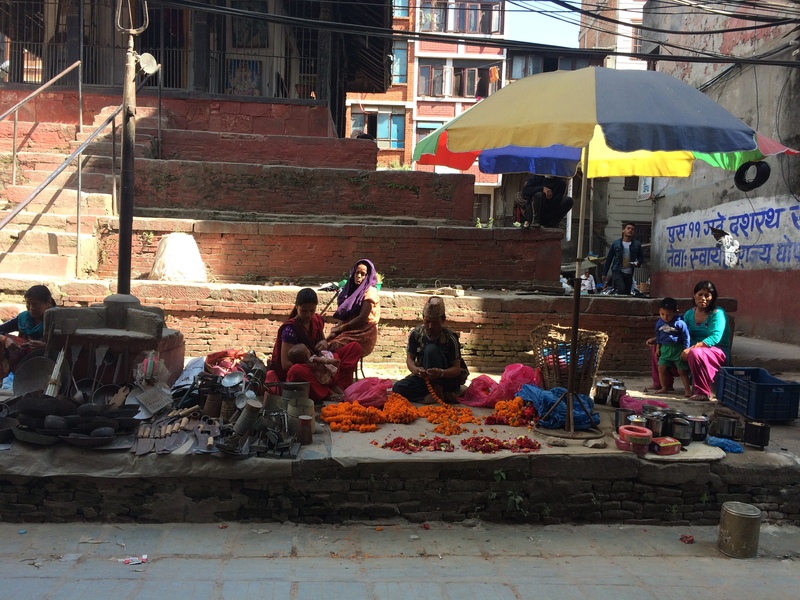 In our short stay in Kathmandu, we took a local bus to Pashupatinath Temple to watch a cremation ceremony on the river. We got away from paying 1000 rupees by giving a small bahsish (bribe) to a guide who winked at the police guard to let us in, who probably got the half of the bribe money later on. We didn’t understand for what we had to pay while all the locals were walking around freely. This happened again when we we were stopped to pay a fee to enter in a square in the city center which we avoided by walking through a side street that got us to our destination, for free! I understand they need tourist money yet I refuse to pay just to walk on an open street. 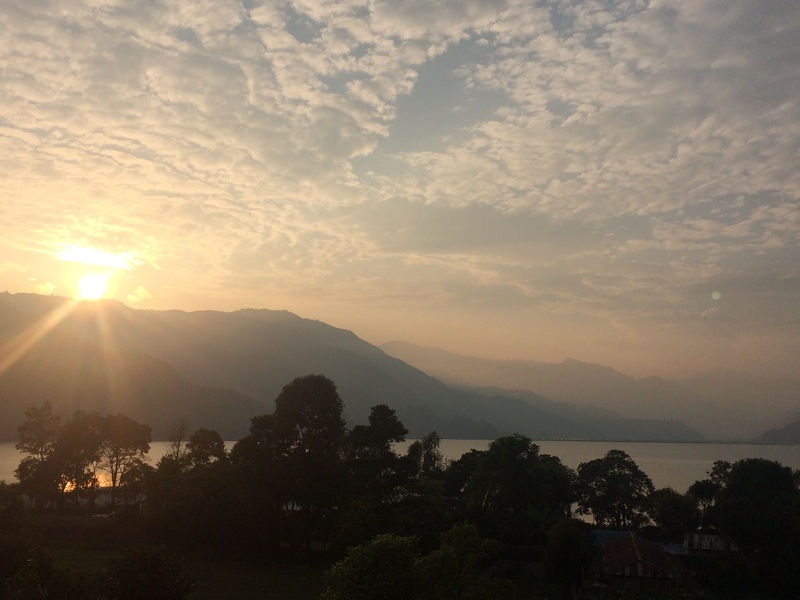 The next day, we decided to leave the chaotic vibe of Kathmandu for fresh mountain air and woke up at dawn to catch the bus for Pokhara at 7 am. 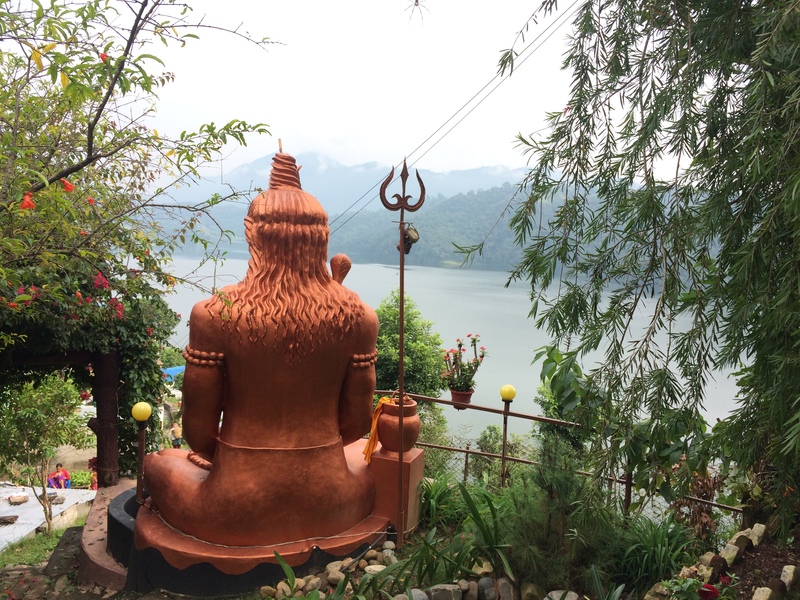 Pokhara is a city that offered lots of extreme sports activities including paragliding over the amazing mountain and lake view, rafting, bungee jumping, zip lining and of course trekking on the most spectacular Annapurana mountains that lead up to the Everest. There’s no seat inside the bus? Come on to the top of it, no problem! Fortunately this is a local bus, different than the one we took for Pokhara. Buses were simple (in 1990’s comfort) even though we were told they’d have wi-fi and A/C, which wasn’t true. Our bus made an accident on the way back and also rescued the passengers of another bus that ran out of gasoline in the middle of their trip. 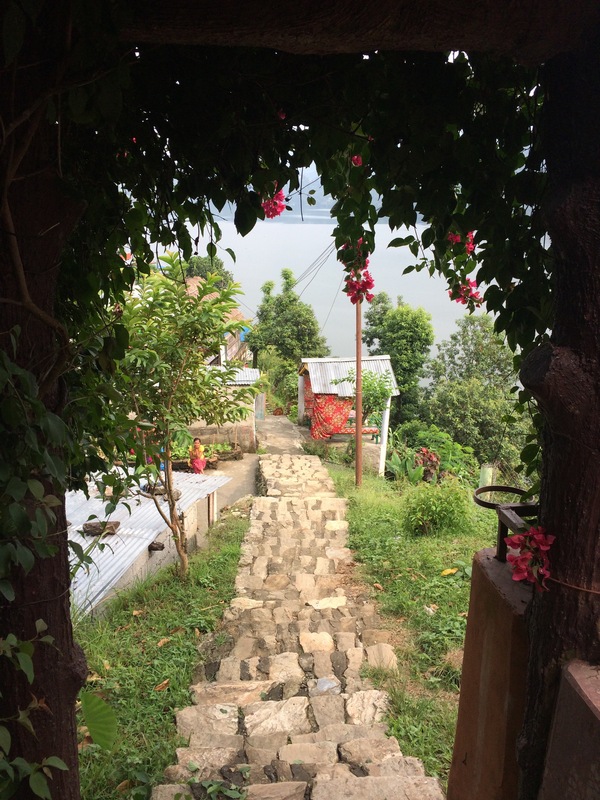 After taking a few bathroom/food breaks at roadside restaurants, we arrived at Pokhara’s tourist bus station, which was 10-15 mins walk from the lakefront where all the hotels and shops were nicely aligned tightly next to one another. 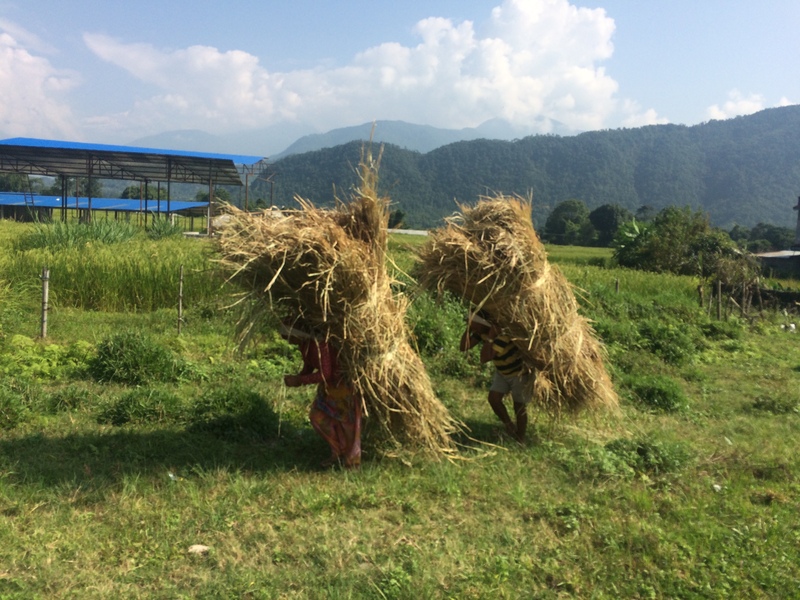 In October, supposedly Nepal’s highest season, the weather was stellar with an average of 20 C- 75 F every day. It rained a couple of nights hence was chillier at nights and mornings but a light hoodie and sandals were comfortably sufficient. 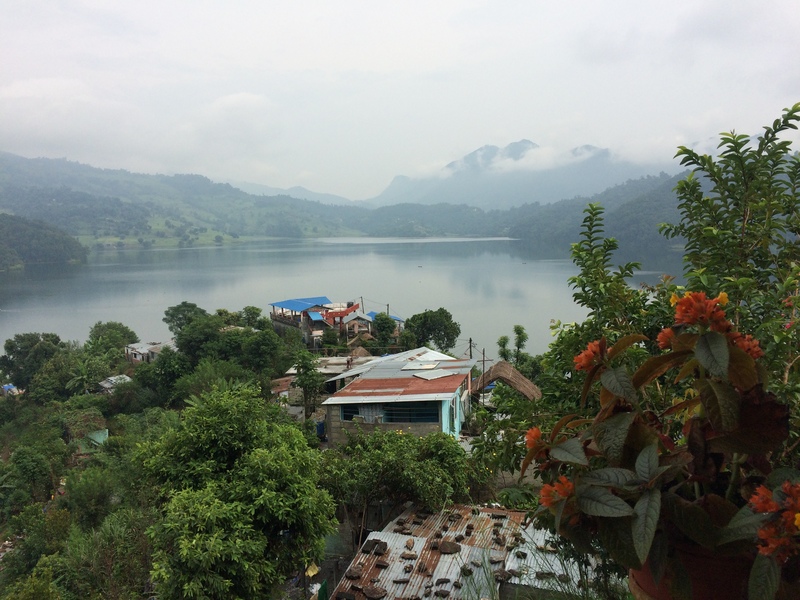 Things to do in Pokhara were limited due to the gas shortage so we rented bicycles one day (for 300 rupees, $3 US) and drove around town. Watching paragliders landing as well as riding along the beautiful lake was a cool activity. 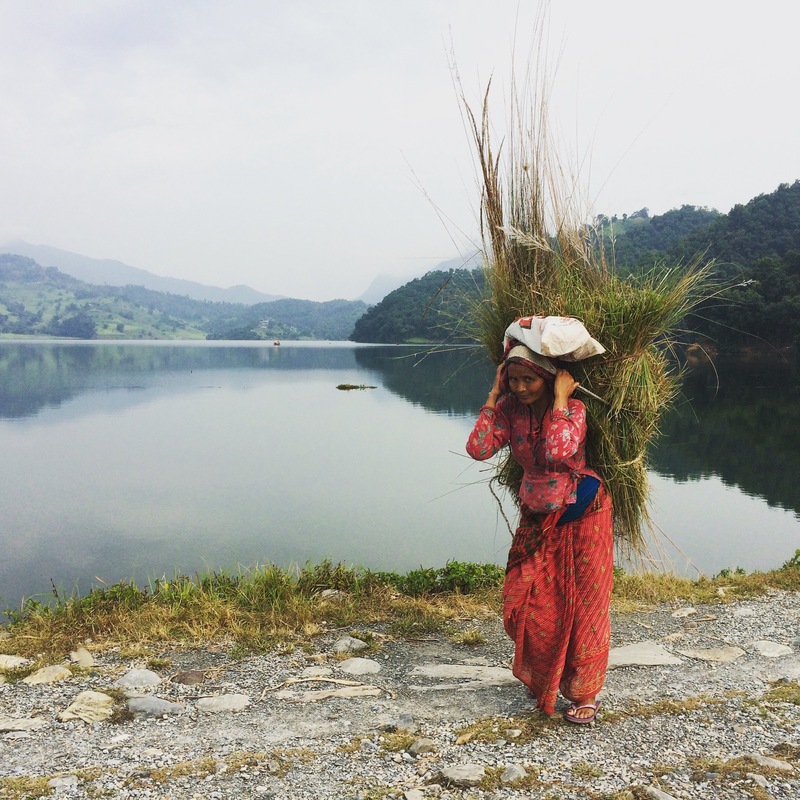 On another day, we were lucky enough to find someone to let us rent his scooter and he sold a couple of liters of gasoline, which we spent till the last drop by going to Begnas Lake around 20 km away of Pokhara. It was quite a nice ride with less vehicles on the road and our target was pleasantly peaceful. 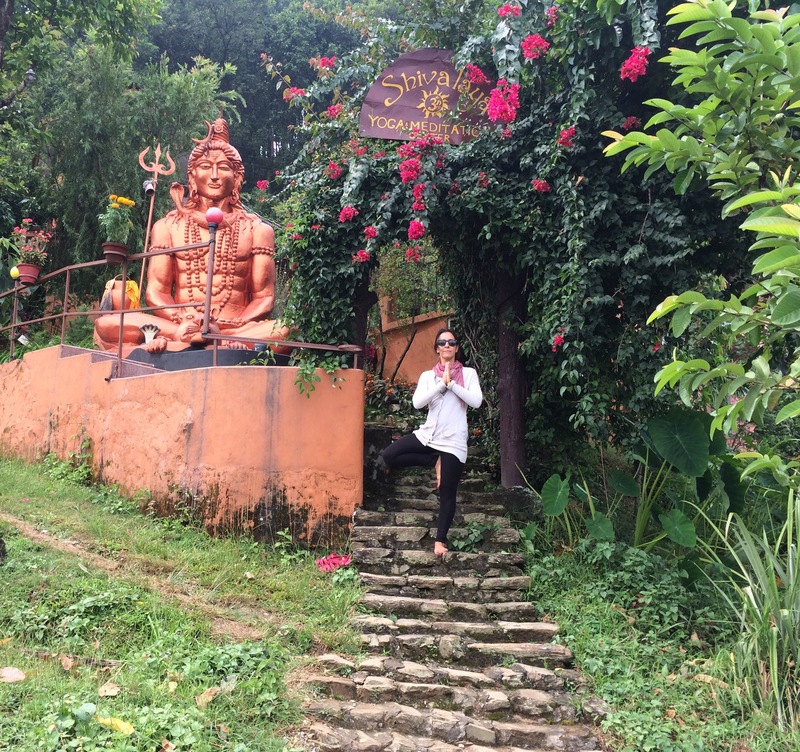 Coming across Shivalaya Yoga Center that was perched on the top of a hill reached by climbing a hidden path was the bonus of our day! After getting our 3 month visas to India, we left Kathmandu for Delhi with Indigo Air that offered a great service in European standards. 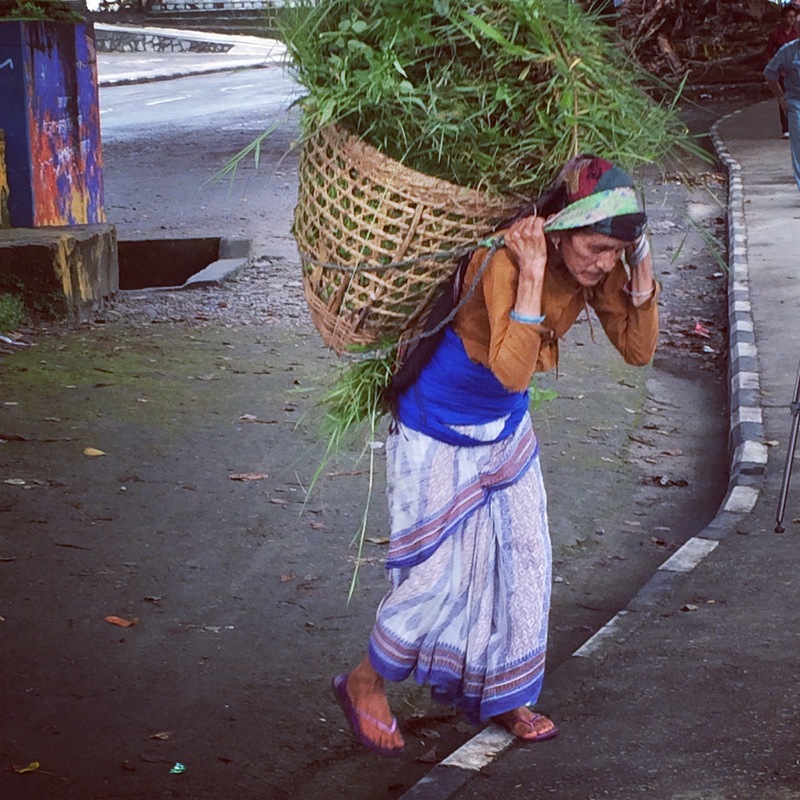 In Himalaya -specially India women carries out majority Of domestic work. 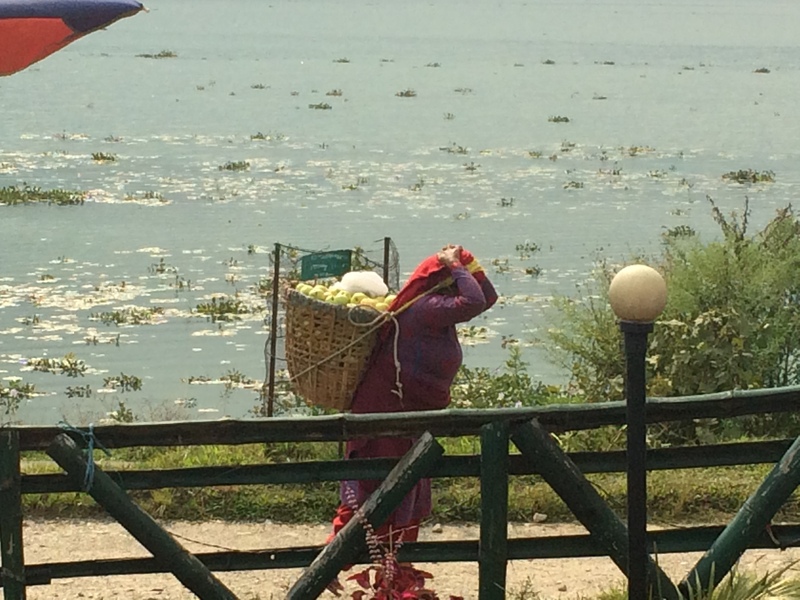 so you’ll find similar scene in India too.fields have women workforce. men either don’t work or have shifted to cities for work. This is not true across India but its a region specific, although some more areas in India might have same scenario. Even in Thailand, you will find women running the whole economy! all eateries and shops…you will see women work force and wonder where are men? Beautiful, Asli!!! So proud of you for living a life less ordinary. How long are you planning on staying abroad? Such an adventure!